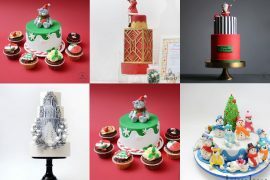 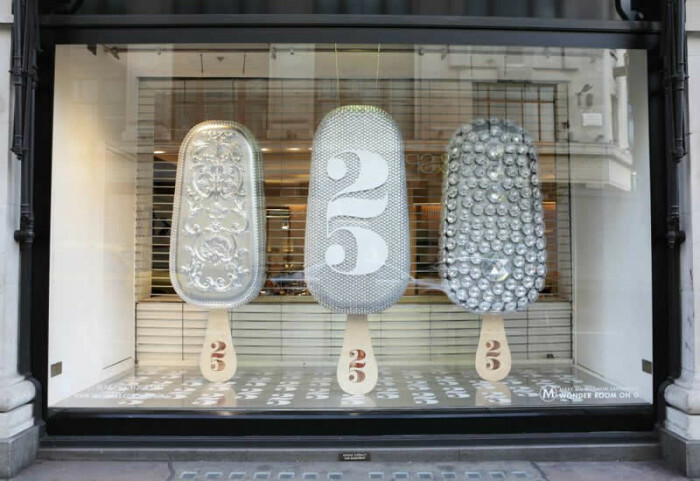 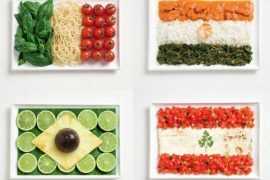 Magnum Ice Cream is busy celebrating its 25th birthday this year in grand style. 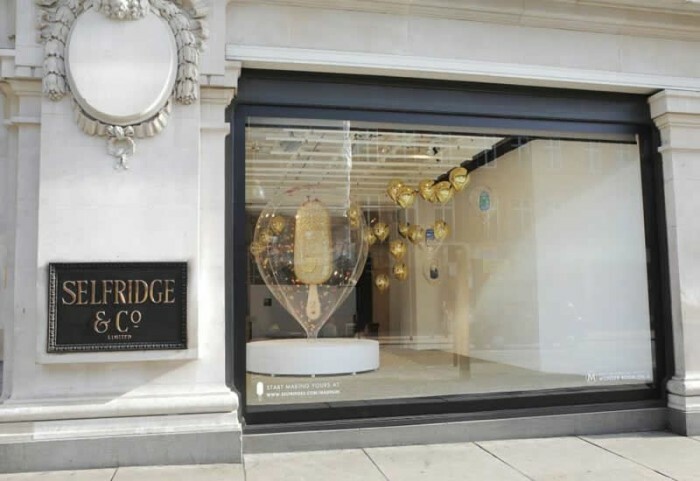 A few weeks ago they announced a collaboration with Dolce & Gabbana to create a special designer ice cream, and now it’s the turn of Selfridges. 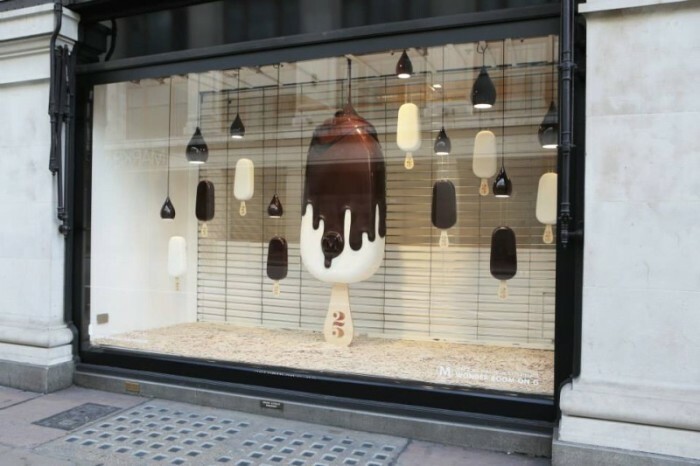 As part of Selfridges’ summer food campaign called Meet the Makers, ice cream maker will launch “Make My Magnum Bar” on June 30th at Selfridges Concept Store in the Wonder Room in London’s Oxford Street. 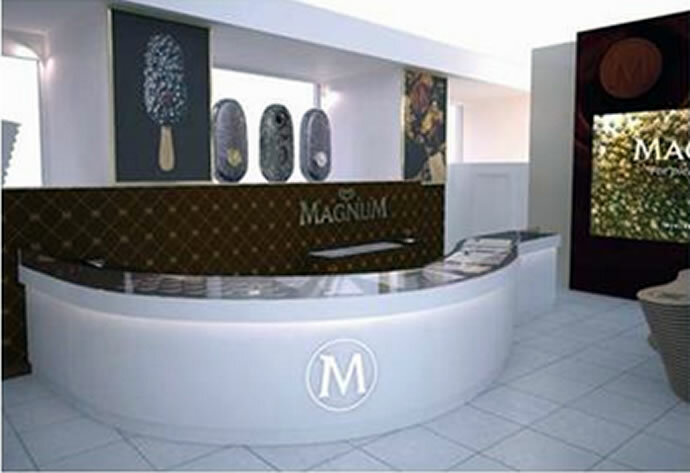 At the ice cream bar, Magnum Pleasure Makers will dip a ‘naked’ Magnum in chocolate. 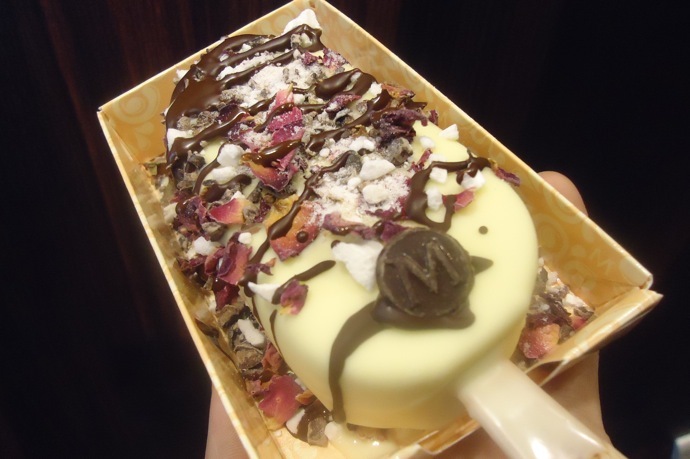 Once the Magnum is covered in chocolate customers can choose delicious toppings from a selection of more than 250,000 flavor combinations such as rose petals, marshmallows, and chili flakes. 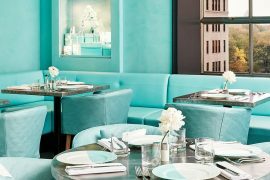 Each mouthwatering bespoke ice cream comes covered in swirls of caramel sauce and caramelized sugar pieces and topped with a classic M coin. 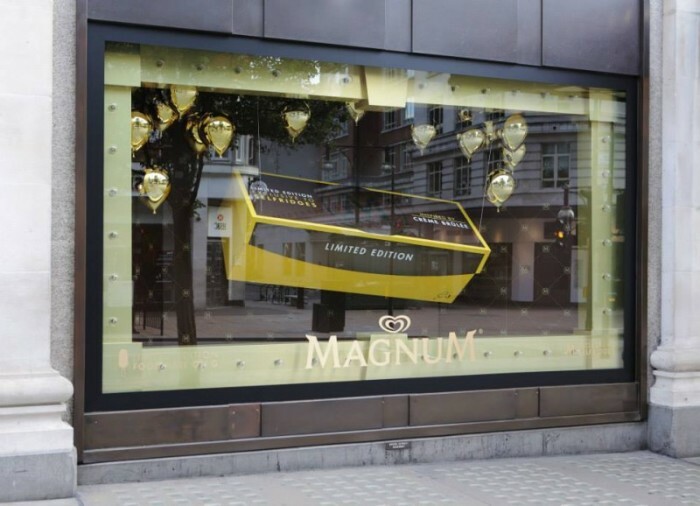 For those not in favor of custom-made ice creams, there is a creme brulée inspired limited edition Magnum, exclusive to Selfridges. 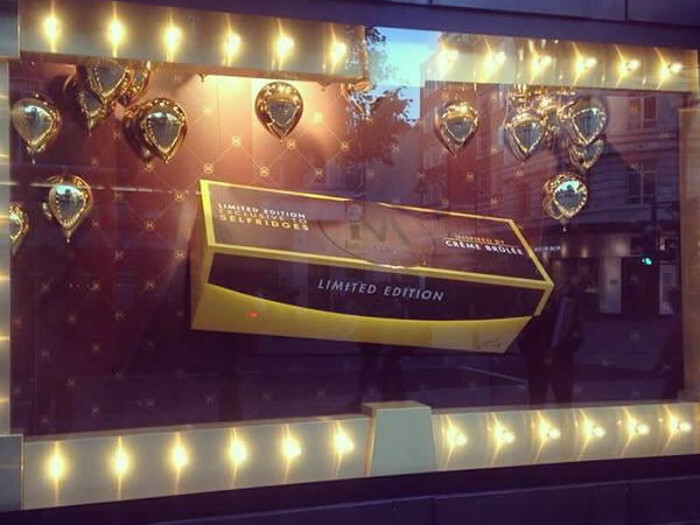 Each will arrive wrapped and boxed in – famous Selfridges yellow. 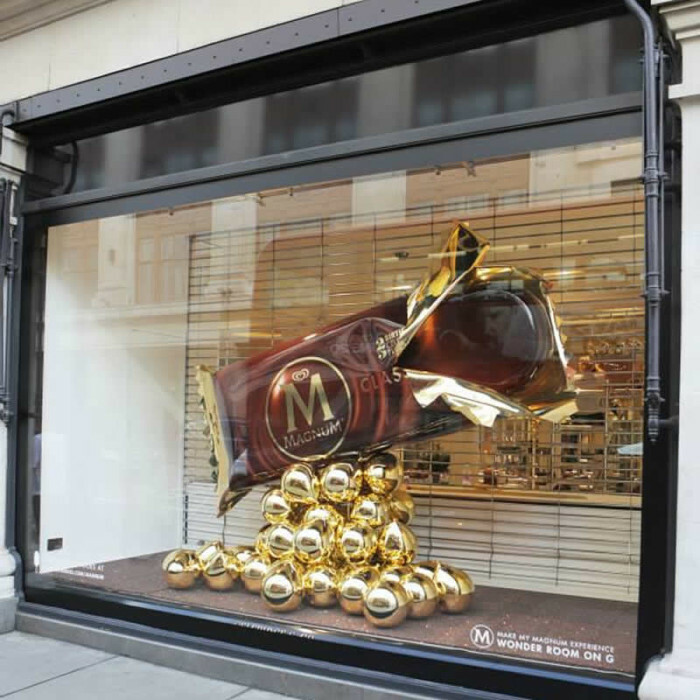 Priced at £4.50 ($8), Make My Magnum will be available in Selfridges stores nationwide until September.